My Pomeranian is the Alpha? 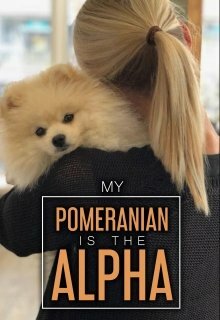 Description of the story "My Pomeranian is the Alpha?" Anna had a one-night stand two years ago with a handsome man who disappeared. She adopted an abandoned Pomeranian named Peaty not long afterward. One day, when she goes off the trail at a ski resort she is pursued by hungry wolves. As her dog protects her, he transforms back into his human form. He is actually a werewolf, not just any werewolf, he is a cruel, vicious, alpha who had decided to make her his mate! As Anna is imprisoned by her mate, she discovers there is more to her pet's hobbies than Louis Vuitton carriers and Peter Luger steaks. He demands that she love him as a robust, warrior not just as a shopping buddy to take to the semiannual shoe sales at Bergdorf Goodman.